Another simple version of sambar but with healthy drumstickleaves..eventhough its yet rare to get fresh drumstick leaves here, once in a month we buy them from indian groceries..tasty sambar goes very well with hot rice topped with ghee..
Pressure cook the toor dal with pinch of turmeric powder until 3 hiss..
Heat oil in a pan, add the mustard seeds, urad dal n red chilli n asafoetida powder, let them splutters, add the chopped onion pieces, chopped tomatoes pieces, garlic pods n stir them continously until the onion turns transculent n tomatoes turns mushy, add the drumstick leaves n cook for a while with salt..blend the toordal with a hand blender n add enough water to make bit watery, add the dal water to the vegetables with redchilly powder, dania powder..bring it to boil n put them in simmer. Once the vegetables r cooked add the lemon juice as well as curry leaves n coriander leaves to the sambar n put off the stove. 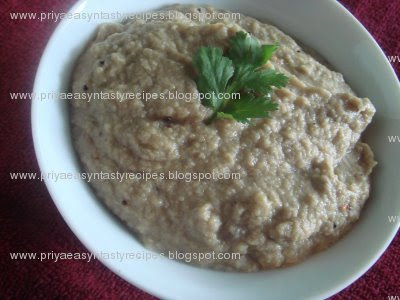 Eggplant chutney, prepared with few ingredients this chutney goes well with breakfast items as well as this chutney ressembles very well as thuvaiyal for rice dishes coz tamarind is added in this recipe..
Cut the eggplant into small pieces, heat oil in a kadai add the urad dal n let them splutters..
Add the chopped onion, red chillies, green chilies, garlic pods, chopped eggplant n cook them until they turns tenders, add the tamarind to the cooked vegetables..keep aside n let them cool. Grind a bit coarsely with enough salt, heat the 2tsp of oil n add the mustardseeds, urad dal n curry leaves n add the grounded paste to the hot oil n stir them for a while..put off the stove. Serve hot with hot idlies as well as dosais..
A Tasty Appetizier, authentic Non vegetarian recipes... behind this recipes, can hear different stories y they r named as 65..eventhough none can define the exact the reason for..My all time favourite..
Take a bowl mix red chilli powder,pepper powder,cumin seed powder, turmeric powder, salt, garam masala, foodcolour, ginger garlic paste, lemon juice, yogurt and make a thick paste. 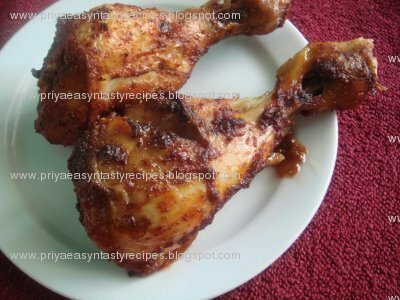 Add chicken pieces to this and coat the masala to all sides of chicken. Let this marinate for at least 1 hour in the refrigerator. Deep fry on medium high flame for about 6 minutes or until it turns dark brown on all side. 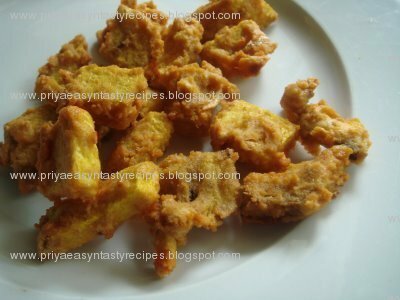 Drain excess oil with tissue papers..
Karunaikizhangu(Yam) a verstaile vegetable, can prepare them any sort of dishes...Yam r highly rich in vitamin c, Vitamin B, potassium..This pakodas goes well as side dish for any choice of rice...they will be spicy, crispy n tasty..Can prepare them easily within few minutes..
Heat enough water in a pan, add the yam cubes n turmeric powder n cook them until the yam pieces gets cooked slightly, if u insert a toothpick, they should insert immediately...drain the water..keep aside the cooked yam pieces..
Soya chunks real source of proteins..can replace very well the mutton r chicken for vegetarians..if we cook these chunks in hot water n grind slight coarsely in mixie gives us soya chunks keema, they will ressembles very well like meat keemas..i prepared as kurma with these soyachunks keema, they turned very well n an excellent side for rice, idlies, chappathis, parottas as well as for dosais..
Heat two cup of water with salt, add the soyachunks to the hot water n cook them for a while r else till they double their volume, put off the stove n drain the soyachunks in a colander, squeeze out excess of water n grind them in a mixie r food processor slightly coarse..keep aside, this is soyachunks keema..
Heat enough oil in a kadai, add the whole spices(bayleaves, cloves, cinnamon sticks n cardamom pieces) n fry them until they turn brown, meanwhile grind the ginger, garlic,poppyseeds, peppercorns,cumin seeds,fennel seeds, green chilly, grated coconut, corianderleaves n turmeric powder as fine paste..keep aside. Add the finely chopped onions n tomatoes pieces n stir continously until they get a bit cooked, add the grounded paste to the slightly cooked onion n tomatoes n stir them continously in simmer with lid closed for a while, so that the raw smells goes away from the spices, add the soyachunks keema to the spices n stir them well, add the salt n red chilli powder for a while n add enough water for making them as gravy..adjust ur gravy as ur wish..cook them for a while in medium flame until the oil get separates..garnish them with coriander leaves r with mint leaves.. 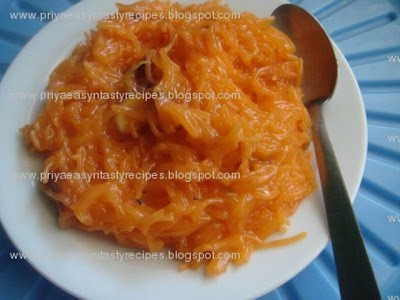 Serve hot as side dish for chappathis, parathas r as gravy for hot rice..
On the way Eat Healthy - During Pregnancy by Sangeeth..
Cut the carrot, onion, tomato n potatoes into small pieces..
Heat a tsp of butter in a pressure cooker, add the chopped onions n stir them until they turns transculent, add the potatoes pieces, tomato pieces n carrot pieces to the onion with vegetable stock cubes n stir them well until they get slightly cooked, add the chopped cabbage pieces to the already cooked veggies n cook them for a while, add 2 cups of water to the veggies, check for the salt n close the pressure cooker with the lid n cook them until 3 whistles.. 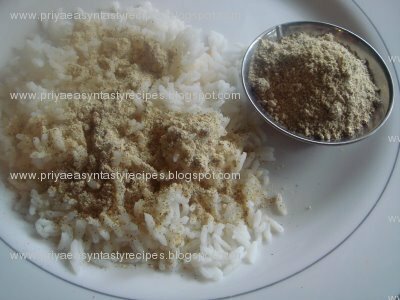 Grind bit coarsely r finely with low fat milk r cream(can also avoid the milk r cream,if u dont like to have a bit rich) with a hand blender r in a food processor n add the pepper powder( as per need).. 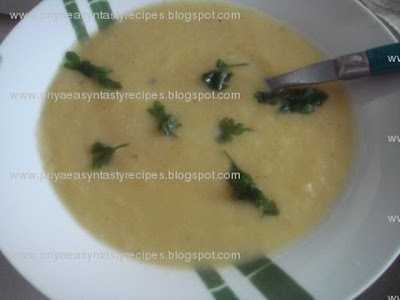 Serve hot with toasted bread slices n garnish with a tsp of parsley leaves..
Tasty Kesari, prepared with coconutmilk..can be prepared very easily within few minutes, can be also a festive recipe..
Heat tsp of ghee n fry the cashew pieces until they turns brown, keep aside..roast the semiya in the same pan until they turns brown. Take a non stick pan, add coconut milk n water as well as sugar n bring them to boil, keep in simmer n add the roasted semiya to the milk, keep in medium flame ...stir them continously, meanwhile heat the ghee..
Once the semiya absorbs the milk n get off from the pan ,add the cardamom powder n pinch of salt as well as the hot ghee..
Ragi (finger millet) a excellent source of proteins, good for diabetic peoples..pediatricians recommend ragi food for infants of six months and over because of its high nutritional content, especially calcium. 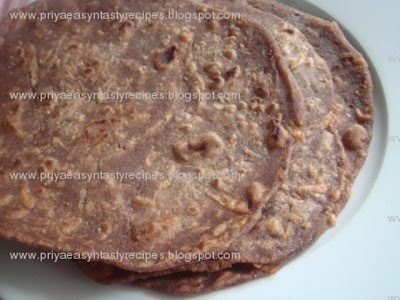 Prepared as parathas with wheat flour, they turned soft as well as healthy, to enhance more this recipe, grated carrots n few spice powders r added..A perfect breakfast as well as a dinner menu for adults n kids..
Sieve the wheat flour, take a large bowl add both flours with grated carrot n spice powders..
Add enough yoghurt to the flours n knead them as a dough..keep aside for 15 minutes..
Take a small ball from the dough n dust the dough with enough maida. 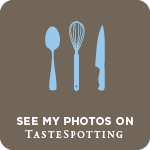 Heat a tsp of oil in a tawa n cook both sides of the parathas well until they turns slightly brown.. 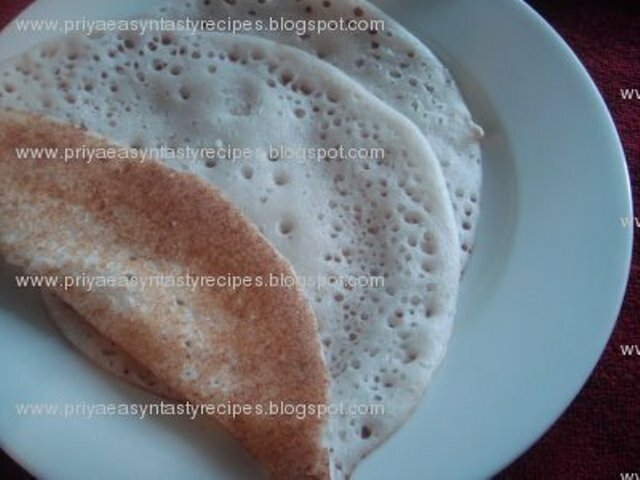 Serve hot with any choice of side dishes..
Soft n spongy dosais, a very good oil less items, these dosais have to be prepared exactly as we prepare the aappams in a nonstick pan, no need of single drop of oil..Poha n sago gives them soft n spongy aspects to this dish..
Soak rice,urad dal n fenugreek seeds together for two hours. Soak both poha n sago for one hour.. Grind rice, urad dal n fenugreek seeds together along with soaked poha n sago n salt..the batter must be a bit coarse..Keep in room temperature for two hours..
Heat a tawa..pour a ladle of batter n cover it with a lid n cook until they r well cooked..
No need of oil, no need to turn the dosai.. 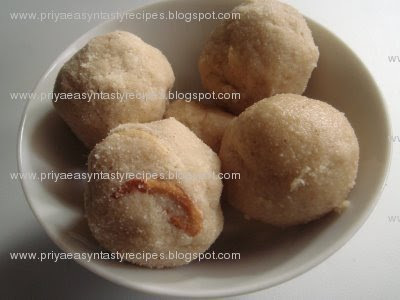 Serve hot with Sambar n any choices of chutneys..
Laddu with Poha..very easy sweets, can prepare them within few minutes..there r many sorts of preparing these types of laddus, traditional way of preparing this laddus r termed as Neyyi Urundai..Prefect sweet for any type of festivals..
Dry roast the thin poha for a while....grind finely the sugar with cardamom...keep aside...now grind finely the roasted poha...add everything in a bowl n mix everything well..
Heat the ghee in a pan add the cashew pieces n fry them until they turns brown, keep aside..
Add little by little the hot ghee to the poha n sugar as well as add the fried cashew pieces n finish them as laddus..
Can store them in air tightened box for 3 days. 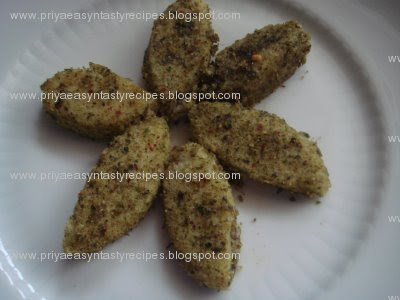 Sending this to Festive items hosted by Purva..
Karuveppilai podi/ Curry leaves powder Idli toast, a tasty dish n healthy too..i tried it out this recipe with left over idlies n they turned awesome...instead of trying idli upmas can give a try to this dish...can be a breakfast as well as dinner too..
Cut the left over idlies as small pieces as any shape as ur desired..keep aside..
Dry roast the curry leaves, keep aside..dry roast the peppercorns, red chillies, cumin seeds n urad dal, grind them slightly coarse with dry roasted curry leaves, keep aside this grounded powder, (dont add water)..
Heat oil in a kadai..add the urad dal n mustard seeds n let them splutters, add the idli pieces n toss them gentlely for a while, once they absorb the oil. 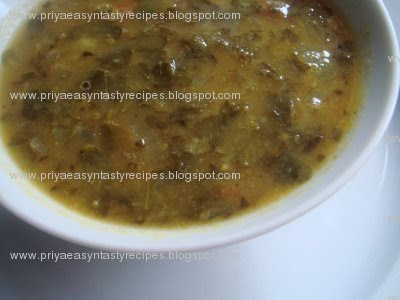 Add the grounded curry leaves powder as per need n stir them well until they gets well mixed. 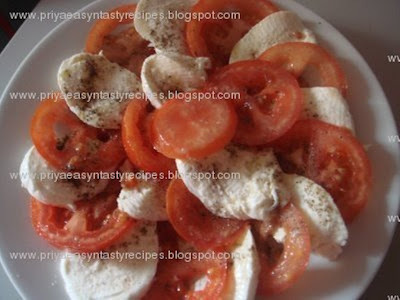 Can store the rest curry leaves powder in a air tight box n can use them very well whenever u need to prepare this curry leaves idli..
with heated whey, followed by stretching and kneading to produce a delicate consistency..Mozzarella of several kinds are also used for most types of pizza, lasagna as well as in some pasta preparations..
Pour the olive oil on the top n serve chilled. 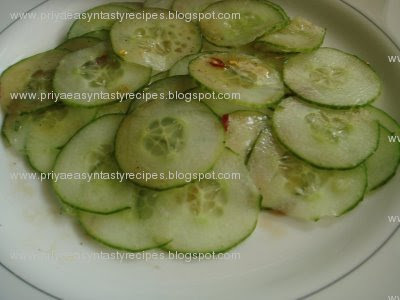 Simple cucumber salad with chinese style of dressing, a perfect salad goes well with hakka noodles..
Cut the cucumber as thin circular slices..
Take a bowl add the soyasauce, chilli sauce, sugar, white vinegar, salt n sesame oil..beat them well together. Slice very finely the red chillies n add them with the sauce. 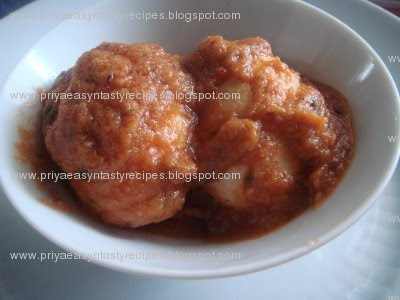 Serve the cucumber salad topped with this chinese style of sauce..
Malabar Egg thokku, a tasty side dish, prepared in coconut oil this egg gravy goes very well as side for any sort of rice dish, can also have the gravy with hot rice too..simple, easy awesome dish.. Grind finely the shallots, dry red chillies n grated coconuts together in a blender..
Heat coconut oil in a kadai add the grounded paste with enough salt n stir them continously until the oil gets separated..
Add the boiled eggs to the gravy while adding just make a cross sign on both edges of the eggs..garnish with coriandre leaves.. 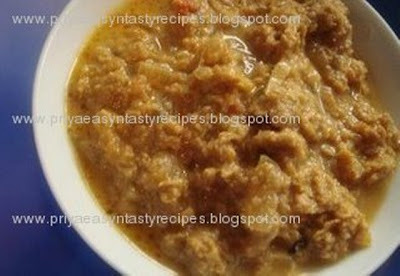 Serve hot as side dish as well as can have the gravy with hot rice..
Kollu(horsegram)Paruppu podi, easy to prepare with less ingredients, can have with hot rice topped with hot ghee r else simply with hot rice, good for health n very useful while dieting..can also add while making curries with any sort of vegetables..
Dry roast everything one by one slowly n keep aside, let them cool..Grind a bit coarsely everything with enough salt n stor them in air tightened box upto a month...Serve this powder with hot rice topped with ghee..else with gingelly oil..